YITH WooCommerce Multi Vendor allows you to turn your store into a multistore where vendors can manage their own products and earn a commission on every sale. You will only have to activate both plugins, in order to make them work together. 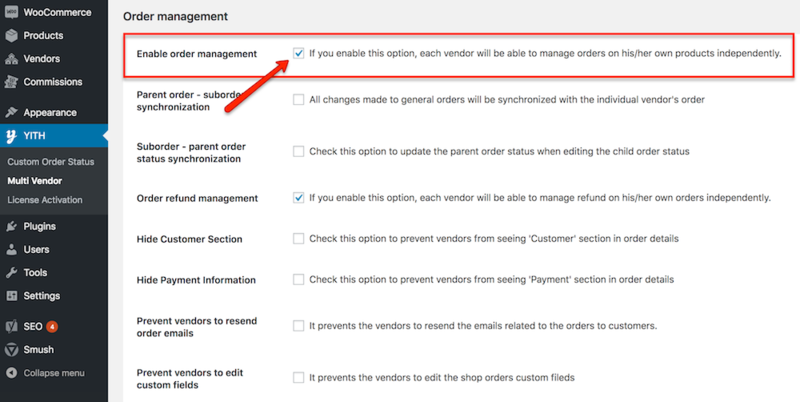 If you want your vendors to mangage their orders, and with them the orders statuses as wel, you will have to “Enable order management” on the Multi Vendor settings page. 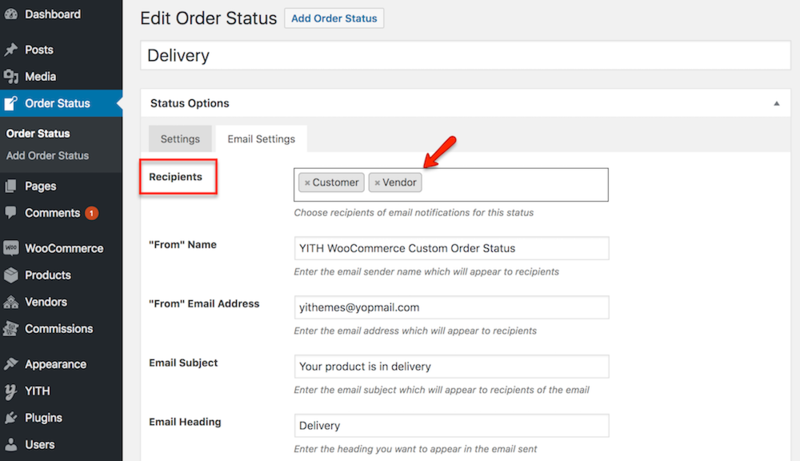 Custom statuses created by general admins can than be assigned by the vendor to any order. The integration will also let you add the ‘vendor’ to the email recipients, a notification email will be send when the order status changes.